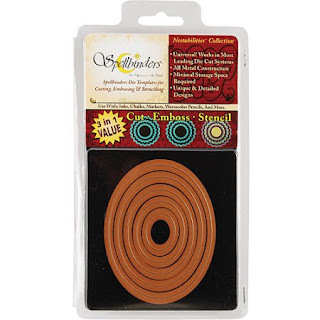 Hello crafting friends and welcome back. Lena here to share a Happy 4th of July card with you. I began by cutting my card base out of cherry red card stock. 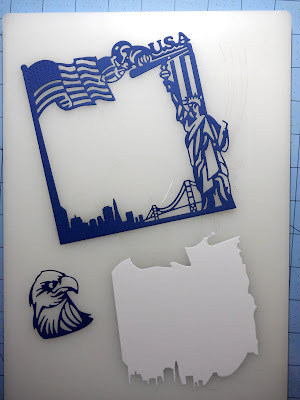 This card measures 5.5" x 5.5"
Using the America Frame and the Eagle dies from Amy Designs, I made my cuts out of dark blue card stock. 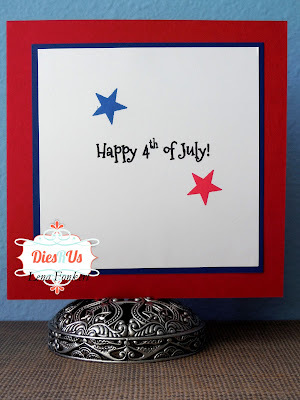 I took the middle cut out piece from the frame die and embossed with a Swiss Dots embossing folder. I then took my ribbon, wrapped it around this cut out and glued the whole thing back into the middle of the die. 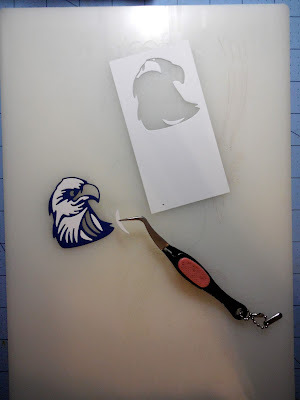 Next I took all the pieces that were left on the eagle die and paper pieced them back into my eagle cut. This makes for a more solid image. While getting all the little pieces, I coloured the beak yellow. I used a piece of tape on the back of the eagle to keep all the little cut outs in place. 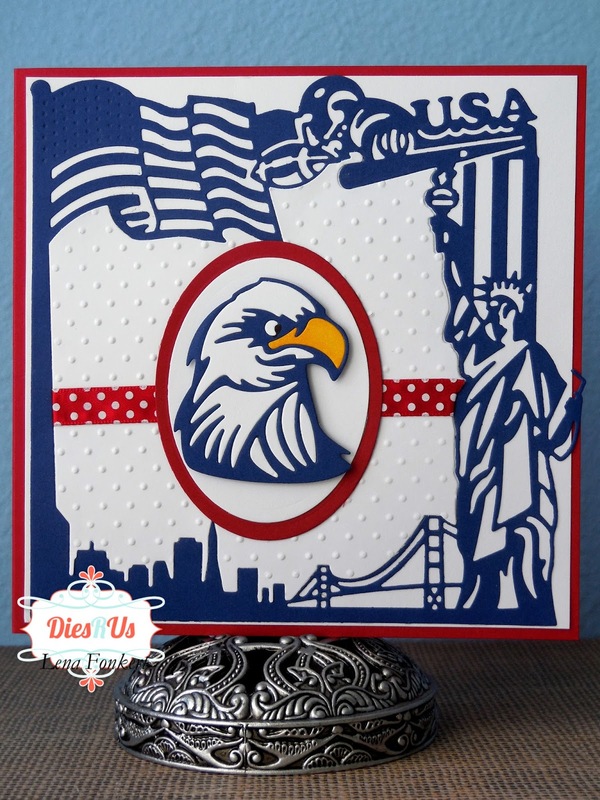 I cut out two oval mats using the Spellbinders Large Oval dies, stacked them and used them to frame my eagle. I kept the inside of the card pretty simple. I just stamped the greeting and added a couple of stars. This is just beautiful Lena! 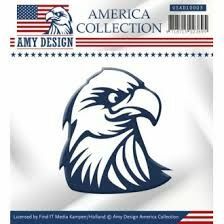 Your paper piecing on the Eagle is excellent and very striking! Awesome inspiration! Well done! 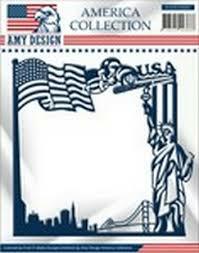 What a wonderful patriotic card! Just love this!